Congratulations on choosing to study in Ontario, Canada! We are excited that you are considering applying to Ontario’s colleges. This page has important information about applying to an Ontario college as an international student. Please review all of the information before you start a college application. International students may apply to any college program that has seats available for international applicants if you meet the college’s admission and English proficiency requirements. You can find out which programs have seats available for international applicants by visiting college websites. Please note that some programs are highly competitive and may not be available to international applicants. Colleges give priority to permanent residents of Ontario and Canada when accepting applicants to these programs. Some programs on ontariocolleges.ca may appear open to Canadian residents, but are closed to international applicants if no international seats are available. Important: The information and links on this page are for international students only. If you are currently studying in Canada with a valid study permit, you are still considered an international student. If you are a Canadian Citizen or a Permanent Resident (PR) of Canada, visit our How to Apply page for steps on applying as a Canadian applicant. Congratulations on deciding to apply to an Ontario college! You may apply to any program offered by an Ontario public college that has seats available for international applicants if you meet the college’s admission and English proficiency requirements. Please note that priority is given to permanent residents of Ontario and Canada for admission to highly competitive programs. 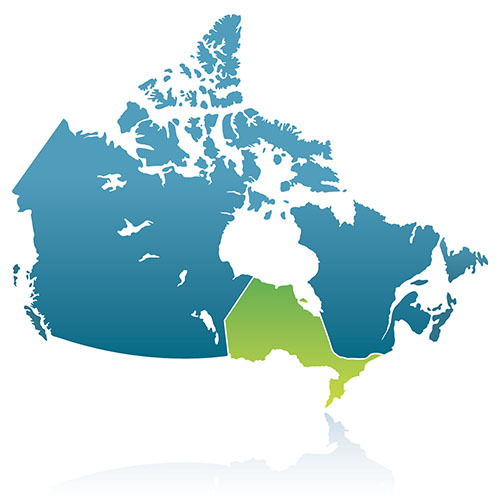 Some programs on ontariocolleges.ca may appear open to Canadian residents, but will be closed to international applicants if no international seats are available. Click any college in the list below to go to the international student section of that college’s website. Review the information carefully to confirm program availability and that you meet admission requirements. Follow the instructions provided by the college to start your international application. The application process may be different for each college. As an international applicant, it is important that you submit a complete application with all required documentation to ensure timely processing of your application by the college. Depending on the college and program you are applying to, you may have the opportunity to upload electronic copies of your documents to support your application. Check college websites for specific details on how to submit your supporting documents. Visit the college’s website to learn which programs are available to international applicants. Check the status of the program to ensure it is open (currently accepting applications). Review the program start date and availability to ensure they meet your requirements. Evaluate the admission requirements to ensure you are eligible to apply for the program. Prepare copies of your translated and certified academic documents, as well as a copy of the first page of your passport. Application fees vary by college and must be paid electronically before you can submit an application. Ontario college programs offer multiple start dates to give you the freedom to choose when you begin your studies. Colleges may begin accepting applications for programs at different times of the year. For example: In October, a college may begin accepting applications for programs starting in the following academic year (August to July). Allow yourself plenty of time to complete your application and any academic, English proficiency or immigration requirements before your studies begin. Depending on the country in which you live, the process for obtaining a study permit may take anywhere from one month to nine months. You must have an official acceptance letter from a Designated Learning Institution (DLI) and a valid passport or other travel document in order to apply for a study permit. If necessary, you can have your certificates / transcripts translated by an organization here in Ontario. For your convenience, we’ve listed one organization here. Please contact them directly for details and costs. If you are applying to a program taught in English, and if English is not your first language, proof of English proficiency is required. If you are applying to a program taught in French, you may need to complete a Test for Evaluating French to determine your French language skills. The following four services evaluate language skills of people whose first language is not English. Contact the college you wish to attend to find out what test and score is needed there. If you have taken language tests other than those listed above, please contact the college’s international department to determine whether they will meet language testing requirements. Some colleges may also ask you to take a college language assessment test and / or enroll in an English as a Second Language program before being accepted as a full-time student in a college program. Many colleges offer English as a Second Language programs to help you improve your language skills. Contact the International Office at the college of your choice for more information. International student fees are approximately $14,000 in Canadian funds per year (two semesters). Colleges may also charge additional fees. You are not insured for medical, hospital or dental care by the Canadian government. However, most of the colleges have a health plan available for international students. For details, contact the International Office of the college you are planning to attend. Once enrolled at an Ontario college, international students usually qualify for the same awards and scholarships as other students. The Canadian government regulates the admission of international students to Canada. These regulations are subject to change. Contact the Canadian Embassy nearest you or contact Citizenship and Immigration Canada for more information. Once you’ve received a letter of acceptance from an Ontario college, you need to apply for a study permit (Form IMM1294). You may apply for a study permit online, or you may obtain a paper application from your nearest visa application centre. If you are applying for a study permit through the Student Direct Stream, you may need to provide additional documents. Review the instructions carefully to ensure your application meets the requirements. There is an application fee to apply for a study permit. Study permit application processing times are available on the Citizenship and Immigration Canada website. To learn more about Ontario’s 26 public colleges, or to find their contact information, visit the Colleges section of our website. There are some further restrictions on these conditions. Contact Citizenship and Immigration Canada for full details. If your spouse is coming to Canada with you, she/he may also be allowed to apply for an employment authorization. Working without an employment authorization is a violation of the Immigration Act and may result in you having to leave the country.